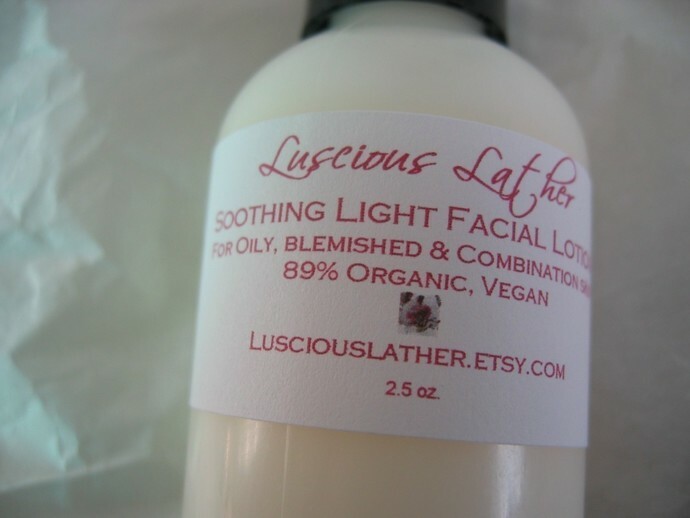 If your skin is Oily, Combination, Sensitive or if you have Acne, this is the perfect Facial Lotion for you! It is thinner than my other lotions, very light and completely non-greasy. It absorbs into the skin in about a minute and leaves your skin soft, smooth and lightly moisturized. 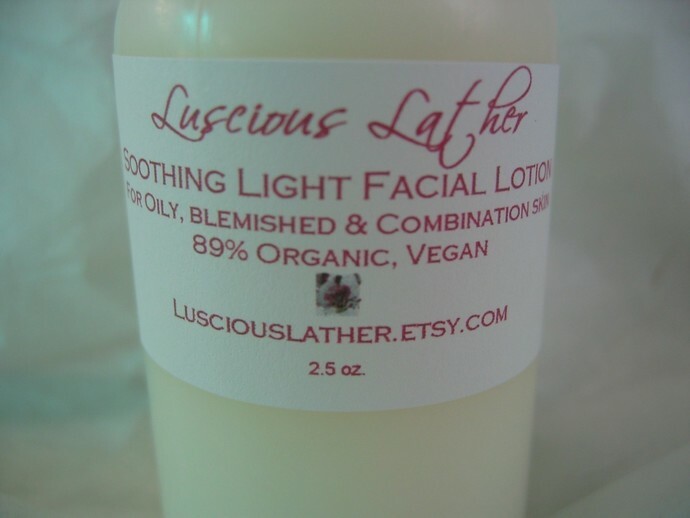 Organic Aloe, Coconut & Jojoba Oils soothe and moisturize naturally. This lotion is 89% Organic and Vegan. Skin Types: Mature, dry, normal, oily, blemished, sensitive and combination. The pH: 4.5 - 5.5. 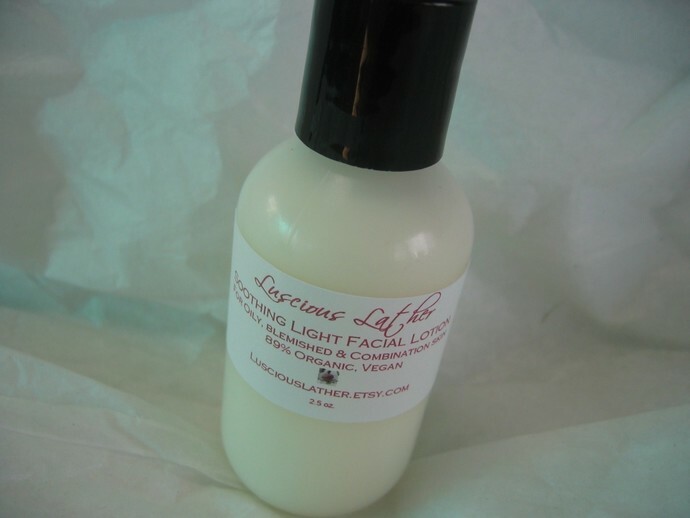 "This light facial lotion has to be my favorite product (along with the ultra detox clay mask),it is indeed light, non greasy, penetrates fast, leaves my skin soft, moisturized, and diminishes the redness associated with pimples! What else would you want?! Also, it is light enough for the summer but just as powerful during the cold winter, hence my renewed order :)"
"Fabulous lotion. I don't know if I will ever go back to anything else. Aids in decreasing redness in pimples and acne like nothing else I have tried." "A+++ Feels great on, absorbs quickly & no tacky feeling." "Lightest, loveliest lotion EVER! I got it as a sample and LOVE it to death. Not greasy at all and it feels so fresh. Diane, you are spoiling me!" "Bought this for my cousin who hates putting on moisturizer. She tried it and loved it so much! It felt very comfortable, hydrating but not greasy or heavy. I'm so jealous; I want one too!" "Lotion didn't make my sensitive skin freak out. Very skin friendly product." Directions: Moisturize your face and neck with lotion every morning and/or night after you cleanse and tone. Always moisturize your face and neck in upward motions. Moisturizing is important for all skin types. In every step of skin care always use circular, upward motions with a gentle touch on your face. Don't help gravity by tugging down on your skin. 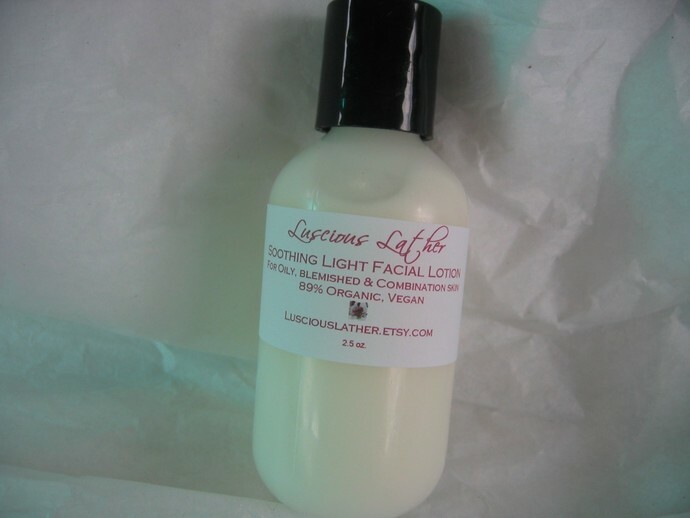 I am also offering this Facial Lotion in a larger size. Check in my Facial Needs Section. This listing is for a 2.5 oz. sheer bottle of Lotion with a convenient, black disc cap.